The property is approached through a five-bar gate leading to a gravel turning circle and an oak framed barn style garage. 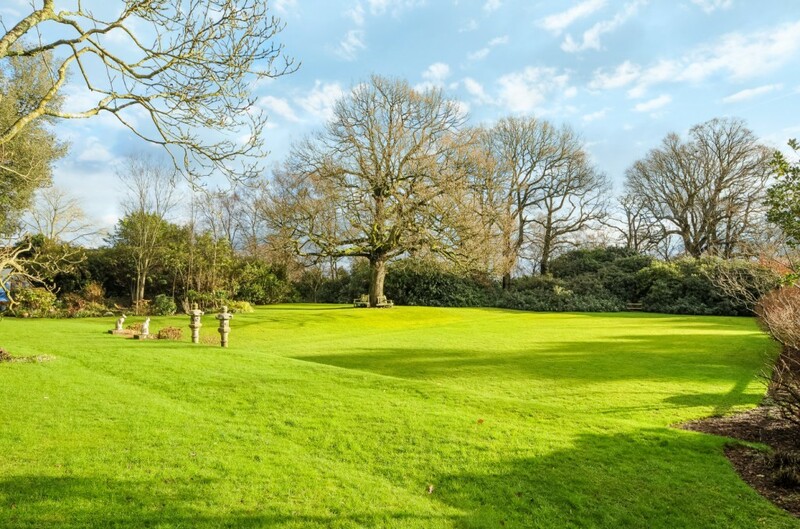 The gardens extend to the rear of the property and consist of terraced lawns, with a variety of mature trees, clipped hedges and planted borders. There is also a large area of woodland which extends beyond the formal gardens. A paved terrace adjoins the rear of the house, which is suitable for entertaining and from which to enjoy the view. A paved courtyard area leads from the driveway to the entrance. Inside the property is a tiled entrance lobby, off which there is a utility room, cloakroom and two useful storage rooms. The lobby then leads into central hallway which has an oak floor and a turning staircase leading to the first floor. Under the stairs is a doorway and steps to the cellars. 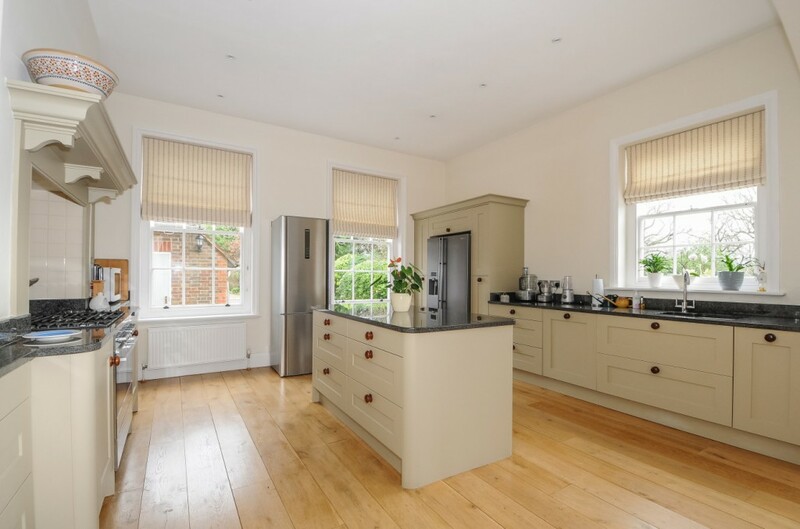 The oak flooring continues into the Kitchen/Breakfast room, which is fitted with a cream shaker style kitchen, with granite worktops and a large central island. 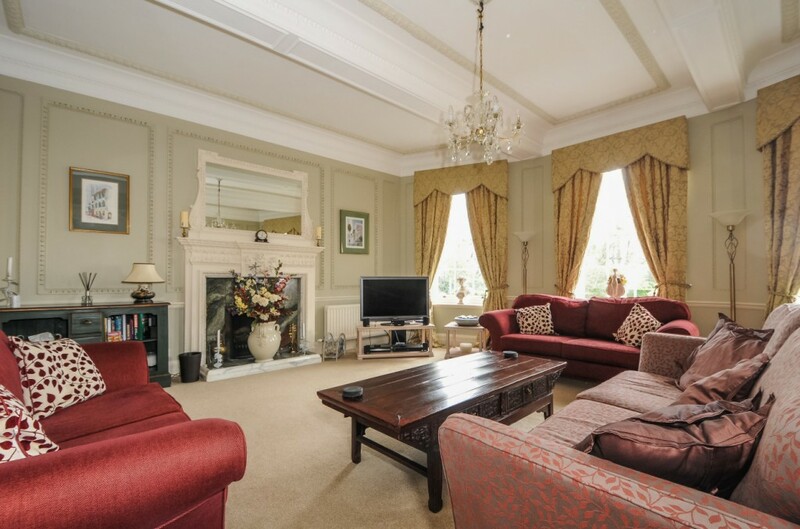 The sitting room is magnificent and benefits from high ceilings, ornate plasterwork and a large central feature fireplace. The dining room is another generously proportioned room with high ceilings. 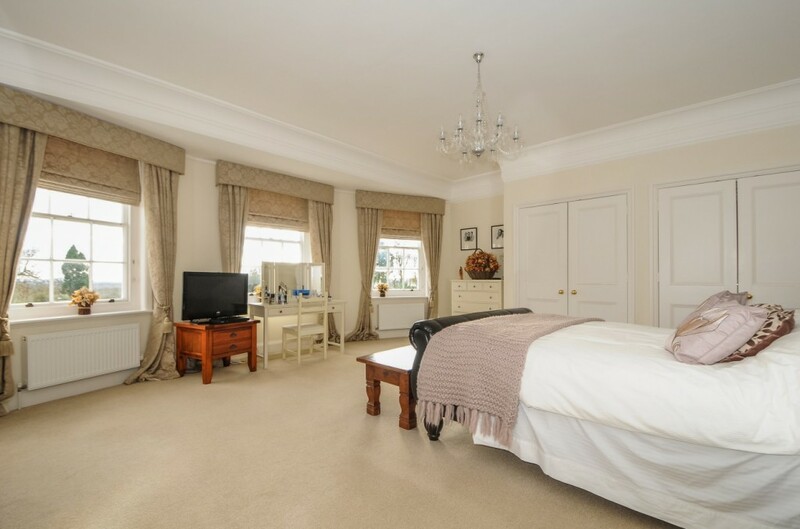 Upstairs, there are six bedrooms and four bath/shower rooms, including two en-suite facilities. The master bedroom is striking in terms of the space and also the views from the three windows. It has a walk-in wardrobe and a large en-suite with a walk in shower and ‘his and hers’ basins. 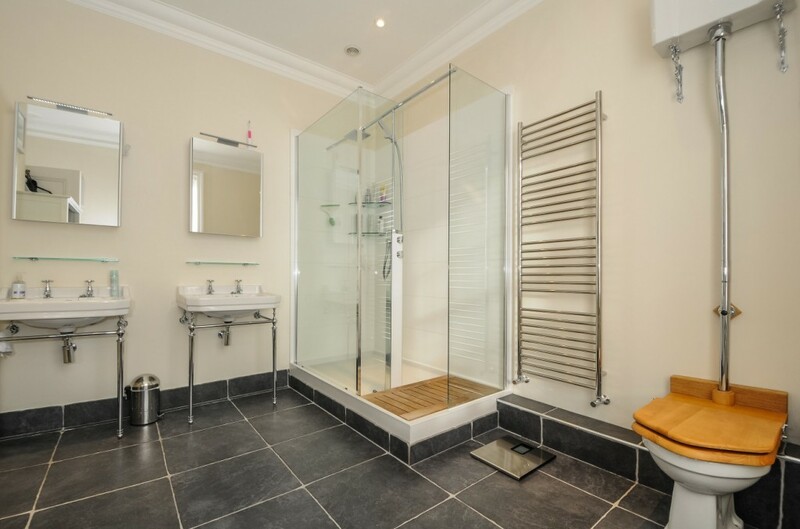 There are two further double bedrooms on the first floor; one of which has an en-suite shower room, the other being served by a family bathroom. 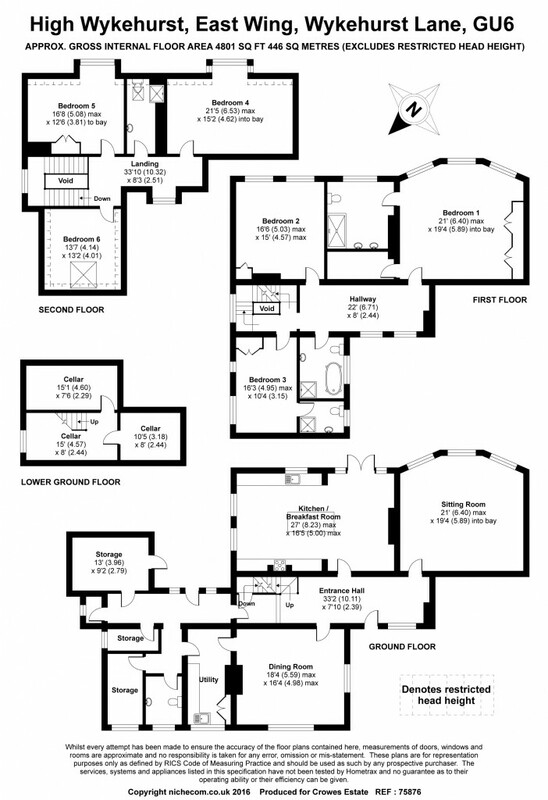 On the second floor there are three further double bedrooms and a shower room. 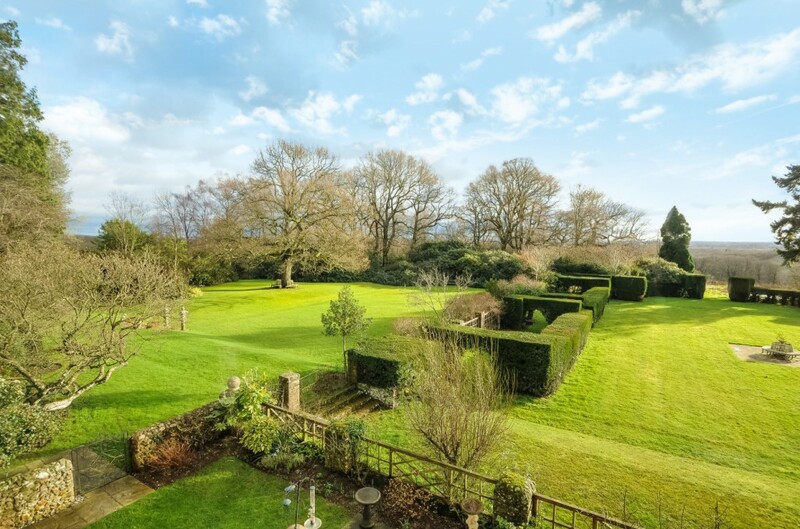 The two bedrooms to the rear of the property enjoy far-reaching views to the South Downs. Ewhurst is a pretty village with a medieval church, an excellent local shop and ‘The Bulls Head’ pub and restaurant. The village sits at the foot of the Surrey Hills, which provide some of the most scenic countryside in the south of England. Over 3,000 acres of woodland and heathland, that includes Holmbury Hill, Leith Hill, and Pitch Hill is held in trust and open to the public. It is therefore a haven for walkers, horse riders and cyclists. The larger village of Cranleigh is three miles to the south and is purported to be the largest village in the country. The High Street boasts two independent department stores, M&S Food and a selection of restaurants and cafes, many with pavement seating. The modern Health Centre, Leisure Centre and Arts Centre are situated at the southern end of the High Street. There are two supermarkets and a healthy variety of independent shops, as well as many of the usual High Street brands. Central London is 30 miles by road. A fast train service from Guildford into Waterloo takes 32 mins. 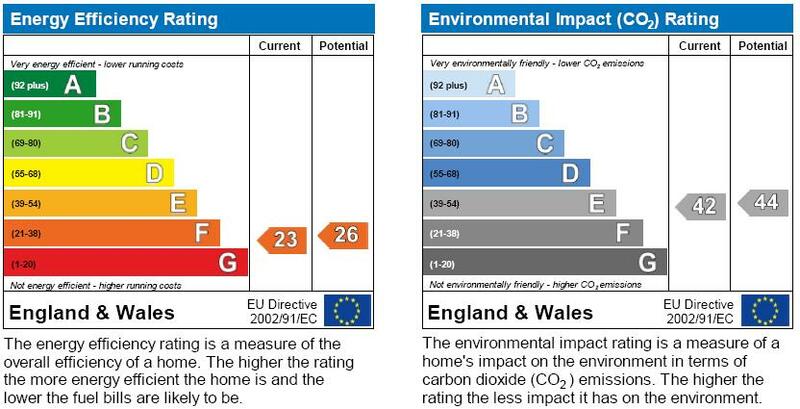 Heathrow airport is 29 miles away and Gatwick airport is 17 miles. 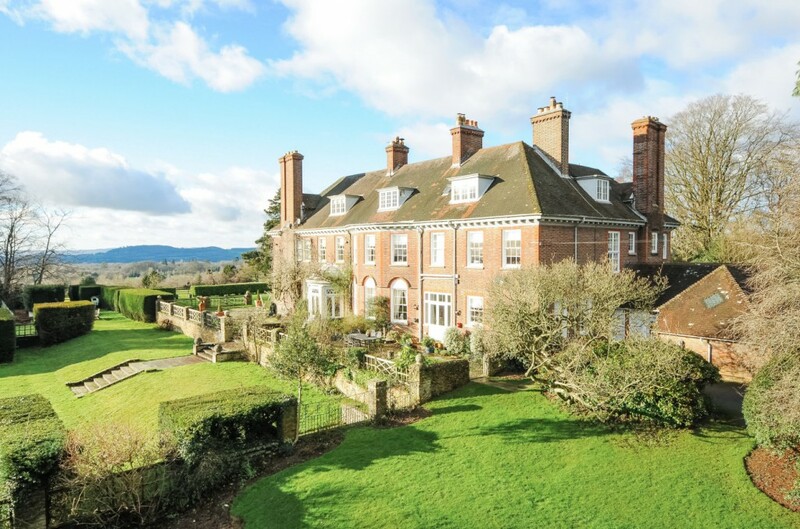 A magnificent wing of a period mansion house that sits in an elevated position, surrounded by landscaped gardens and with far reaching views. 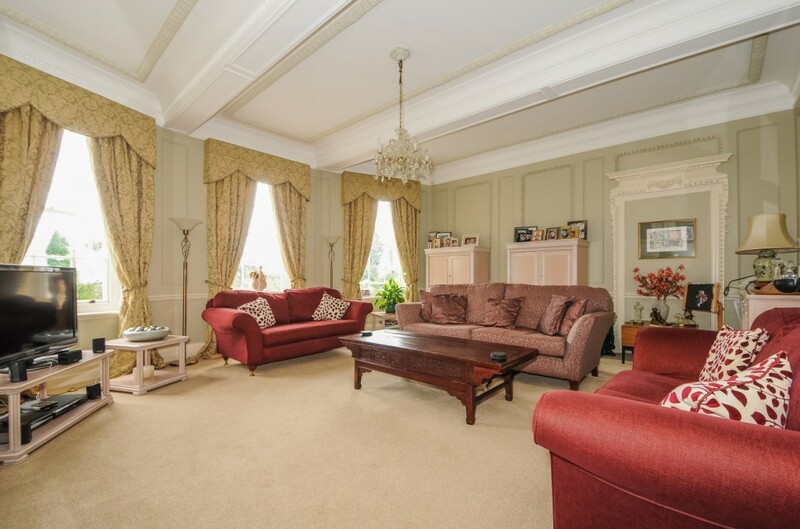 The accommodation is generously proportioned and the reception rooms benefit from high ceilings and many character features. 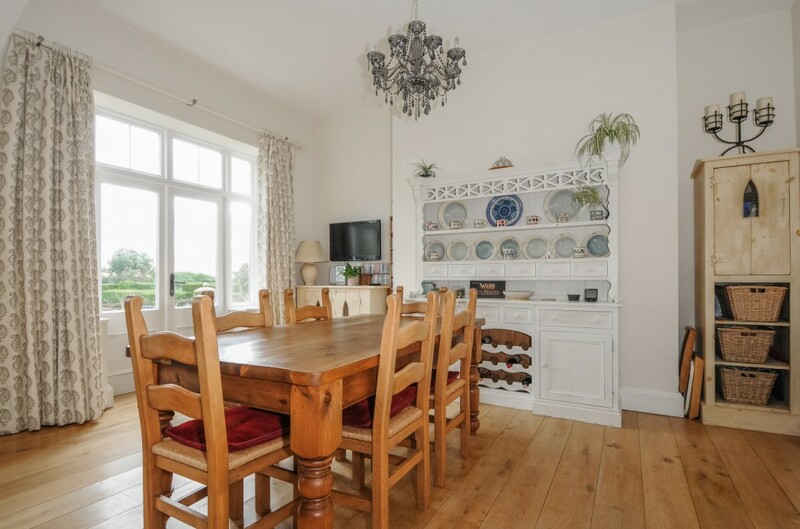 The property is beautifully presented throughout with a stylish, modern kitchen and bathroom suites. The grounds include a gravel driveway, barn style garage, formal gardens with a variety of mature trees and shrubs, and a further area of woodland.